The federal Earned Income Tax Credit (EITC) is the most effective anti-poverty program in history, lifting millions of children out of poverty. In 2017, the Legislature passed a refundable state credit on a bipartisan vote. It is set at three percent of the federal EITC, effective for the 2019 tax year. 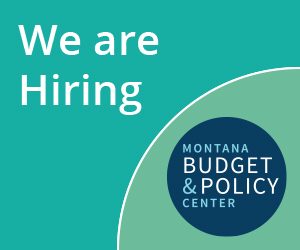 Approximately 80,000 working low-income families in Montana will benefit. The phased-in EITC encourages work and helps families make ends meet. A state EITC set at three percent of the federal credit offers a maximum benefit of $192. With a federal credit, this is the equivalent to a wage increase of $3.18/hour for a single mother of three. For most families, the EITC is a temporary safety net and incentivize work for low-income families. The majority of recipients receive the credit for one to two years to cover short-term costs like bills, groceries, and school supplies. Montana families with two children and two parents living in poverty have the third highest tax liability of any state in the nation. Single parent families of two children in Montana have the fourth highest tax liability. A state EITC mitigates the impact on families by reducing their income tax liabilities. Rural residents claim EITC benefits at a greater rate than urban residents. These additional funds go directly into the local economy to help support rural communities, families, and small businesses. In 2013, 21% of rural Montanans claimed a federal credit, compared to 18% of the entire population. EITC benefits stimulate the economy. The federal EITC injected $173 million into Montana’s economy in 2014. Administrative costs are far lower than social safety net programs. Administrative costs are less than one percent of the benefits provided. Errors are primarily due to the complexity of rules surrounding the credit, not fraud. Source: Internal Revenue Service. Montana: Individual Income Tax Returns, Tax Year 2015. Erica Williams, Samantha Waxman. “States Can Adopt or Expand Earned Income Tax Credits to Build a Stronger Future Economy.” Center on Budget and Policy Priorities. 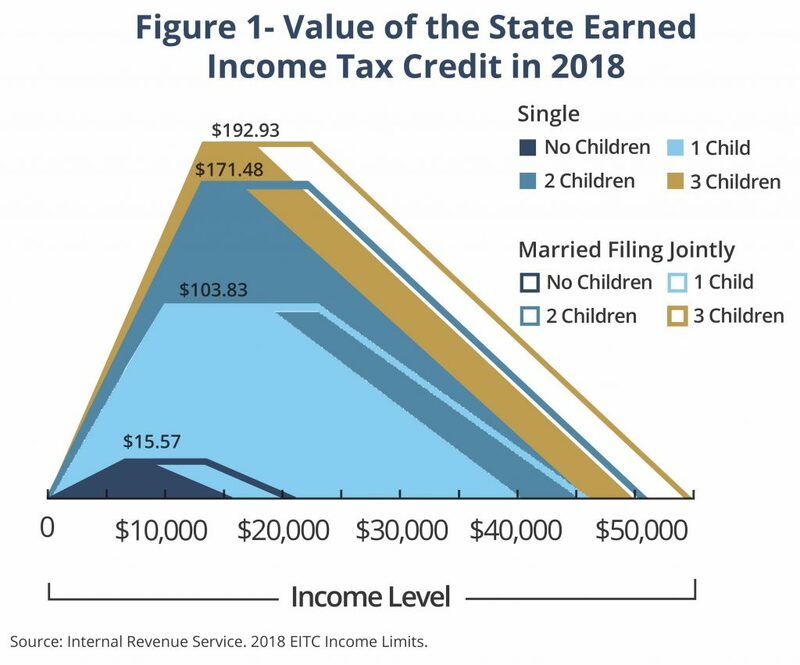 February 2018. https://www.cbpp.org/research/state-budget-and-tax/states-can-adopt-or-expand-earned-income-tax-credits-to-build-a. Internal Revenue Service. “2018 EITC Income Limits, Maximum Credit Amounts and Tax Law Updates.” April 2018. Erica Wiliams, Center on Budget and Policy Priorities. “States Can Adopt or Expand Earned Income Tax Credits to Build a Stronger Future Economy” January 19, 2016. https://www.cbpp.org/research/state-budget-and-tax/states-can-adopt-or-expand-earned-income-tax-credits-to-build-a. Seth Hartig, Curtis Skinner, Mercedes Econo. “Taxing the Poor: State Income Tax Policies Make a Big Difference to Working Families.” National Center for Children in Poverty. November 2014. http://nccp.org/publications/pdf/text_1093.pdf. Jon Bailey. “Earned Income Tax Credit and Rural Households.” Center for Rural Affairs. October, 2014. http://files.cfra.org/pdf/EITC-final.pdf. Robert Greenstein, John Wancheck, and Chuck Marr. “Reducing Overpayments in the Earned Income Tax Credit.” December 2015. https://www.cbpp.org/research/federal-tax/reducing-overpayments-in-the-earned-income-tax-credit.